Web security, referring to digital information security, covers all the types of security within a network, ranging from components such as cloud servers and databases to applications and the users remotely accessing the network. All these come under the IT web security umbrella. IT security websites are becoming a necessity with the growth in technology and the diverse significance in the methods for securing data. Additionally, the need for IT professionals is also growing with technology companies putting in an increased amount of time and money into securing data as society shifts information into digital form. These IT security professionals are responsible for protecting individuals and large companies, organizations, and governments. The relevance of this work to almost all types of businesses offers a number of opportunities to bring about a positive impact in any workplace. Through efficient IT security website analysis, IT security experts monitor the security and safety of a company’s software, hardware, and assets in order to identify potential security problems and create “protect, detect, and react” security plans. 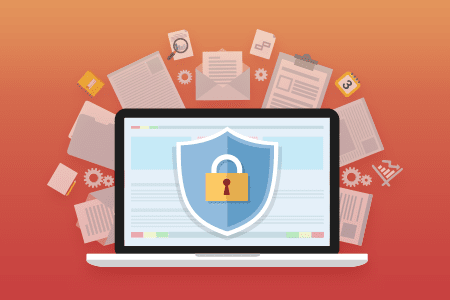 IT security basically covers areas like web security, network security, Internet security, cloud security, wireless security, and endpoint security. When a website gets hacked, a company's relationship with its customers also gets compromised. A single malware attack can almost lead to the death of a business. Hackers can use vulnerabilities against a company and hence it is important to become always vigilant on such matters. To prevent such web security related issues and protect IT security websites you will have to invest in an efficient web security tool like Comodo cWatch. Why is Comodo cWatch an Efficient Website Security Tool? Recognized as one of the best security website tools designed into a single package, Comodo cWatch is a Managed Security Service ideal for websites and applications that incorporate a Web Application Firewall (WAF) along with a Secure Content Delivery Network (CDN). Comodo cWatch has a Cyber Security Operation Center (CSOC) staffed with certified security analysts and is powered by a Security Information and Event Management (SIEM) capable of leveraging data from more than 85 million endpoints in order to detect and mitigate threats even before they occur. WAF is available with a powerful, real-time edge protection for websites and web applications providing enhanced security, filtering, and intrusion protection. This web security tool enables service providers and merchants to stay in compliance with PCI DSS. Provides improved intelligence leveraging existing events and data from 85M+ endpoints and 100M+ domains. After detecting malware, it provides the methods and tools to remove it, and also helps to prevent further malware attacks. It is available with a global system of distributed servers to enhance the performance of web applications and websites. A team of certified cybersecurity professionals providing round-the-clock surveillance and remediation services. Vulnerabilities are considered to be a natural part of developing websites. The rapid increase in hacking activities highlights the need for implementing regular web security measures to protect IT security websites by employing an automated tool like cWatch. Incorporating cWatch in your regular website security routine will help you to maximize your web security strategy, thus successfully safeguarding your private data and other sensitive details.